I began my blogging when I was still a teacher educator and my Finnish blog led me to the Finnish community around online teaching. 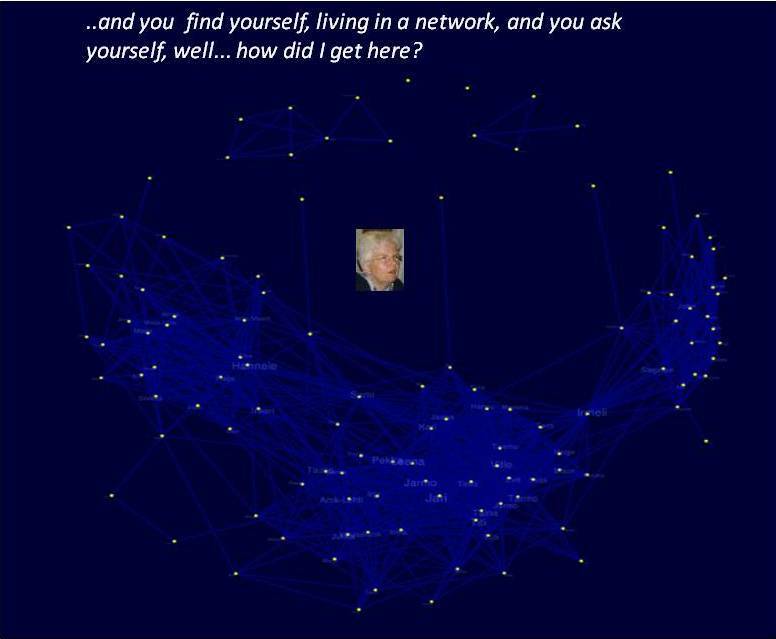 After retirement I have been interested in virtual communities. In my English blog I have described my experiences on open online studies which began with the CCK08. I have lived through great enthusiasm and my hype curve has gone down slowly. Here I, the independent networker, am still wondering what’s happening around me. I left the science university and went to teacher education. All my professional life I have been asking: What is the most valuable source of knowledge? How to build theories on practice so that the criterion is the well-working-practice? 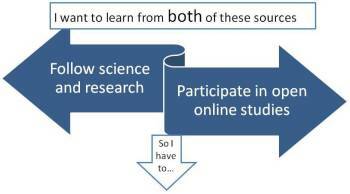 So I participate in online communities and follow research development. My premise is that Anything that we have to learn to do, we learn by the actual doing of it. (Aristotle). I’ll tell about my findings in my blogs. This Prezi describes how my identity is strengthening and broadening in my web life.